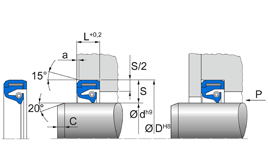 Self-holding Simmerring for shaft pass through walls in mills and large gearboxes in heavy machinery manufacture. 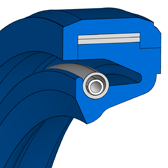 The sealing ring has radial grooves to facilitate additional lubrication from outside. Only endless self-holding Simmerrings are available.